Forex markets trade trillions of dollars a day. Traders around the globe are always looking for the best broker to trade forex, CFDs, binary options, stocks, cryptocurrencies, etc. With new forex brokers popping up constantly, determining the legitimacy of a broker can be a real challenge. As a consumer, it is vital to research a company before depositing money to trade. At ForexBrokers.com, it’s our mission to assist you as much as possible with that research. Below are eight telltale signs a broker is out to scam you, instead of serve you. If regulated, how trustworthy is the regulatory body? Is the broker offering profits or rewards for signing up? Is the broker offering big cash bonuses for signing up? Is the broker offering automatic trades or signals to guarantee profits? Is any credible information about the company included on its website, such as company history, financials, headquarters' address, or similar? If awards are cited, can I verify their authenticity? If a big corporate sponsorhip is referenced, am I doing my due dilligence to ensure the company can be trusted? 1) The broker is not regulated. Unregulated brokers do not have to report to a governing body. This means that if they scam you in any way, whether it be “glitches” or “malfunctions” causing sever slippage in their system, or you go to make a withdrawal and they don’t process it (steal your money), you are out of luck. Beyond posting a bad review online, there is little you can do because these brokers have no legal authority to answer to. How do I check if a broker is regulated? The easiest way to check a broker’s registration is to look for it at the bottom of the website. The picture below is the bottom of 12Trader, a broker we recommend avoiding. You’ll notice that nowhere in this picture is a regulatory body mentioned. The “about us” pages on the site link to an account login prompt. Nowhere on the site is there any mention of regulation or company history. All of these warning signs should make you cautious. The bottom of 12Trader's homepage. Now let’s look at the bottom of the homepage of City Index, a trusted and regulated broker. You will notice 1) the company specifically warns of the risks involved in trading CFDs, 2) the company is registered in England and Wales and has posted an address, and 3) the company is authorized and regulated by the Financial Conduct Authority, and has posted a registration number. Conclusion: A regulated broker is required to include proper risk disclaimers and regulatory information at the bottom of all their website pages. To make it easy for investors, ForexBrokers.com includes a Trust Score for each broker, which assesses overall trustworthiness based on where the broker is regulated and its history as a firm. 2) The broker is registered or regulated by an untrustworthy regulatory body. Some scam brokers claim to be regulated and registered by a governing body that does not monitor or regulate forex companies. For example, let’s look at Evolve Markets. The disclosures at the bottom of the homepage give the appearance of a regulated broker. There is a warning of the risks of trading CFDs, and there is a legal section. Upon further examination of the legal section, you’ll notice that while the firm is registered as an international broker company in St. Vincent & the Grenadines, it is not regulated. 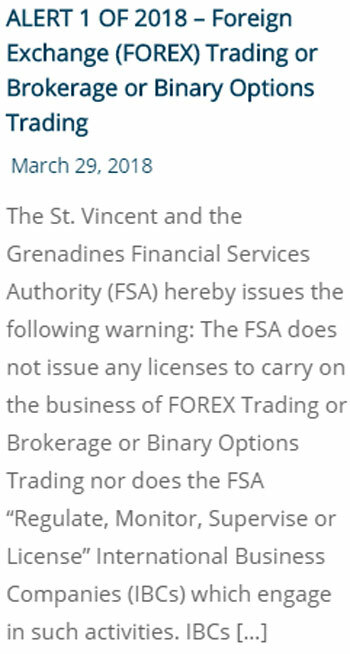 This statement from St. Vincent & the Grenadines shows there is a warning against false claims of registration or license. How do I know what regulatory bodies are legitimate? Conclusion: Double check the authority of the governing body that regulates the broker you are looking at. You can go to the website of the governing body to search for the registration number and verify its legitimacy. To help investors find a trusted broker where they live, we have created country-specific forex broker guides. 3) The broker promises big profits or rewards. Scam brokers often make claims such as “make $50 a day from a $250 investment” or “make 80% returns on profit signals” or “96% success rate.” These claims are a scam, regardless of whether they are being made for forex, CFDs, or binary options. 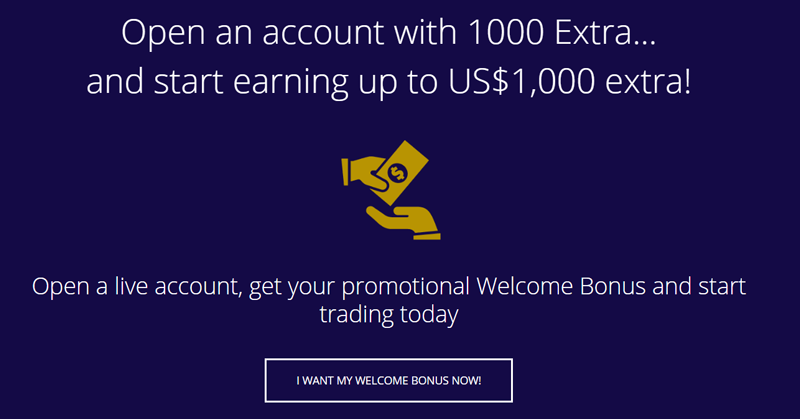 Forex brokers should not promise returns at all, small or large. Simply put, if a broker is promising to make you money, it is a scam. Other common scam practices include advertising pictures of expensive cars that are given away to lucky investors. "Many binary option "brokers" have been exposed as fraudulent operations. In those cases, there is no real brokerage; the customer is betting against the broker, who is acting as a bucket shop. Manipulation of price data to cause customers to lose is common. Withdrawals are regularly stalled or refused by such operations; if a client has good reason to expect payment, the operator will simply stop taking their phone calls. Though binary options sometimes trade on a regulated exchange, they are generally unregulated, trading on the Internet, and prone to fraud." Conclusion: If a binary options or forex broker promises you big returns on your money, this is a clear sign of a scam. 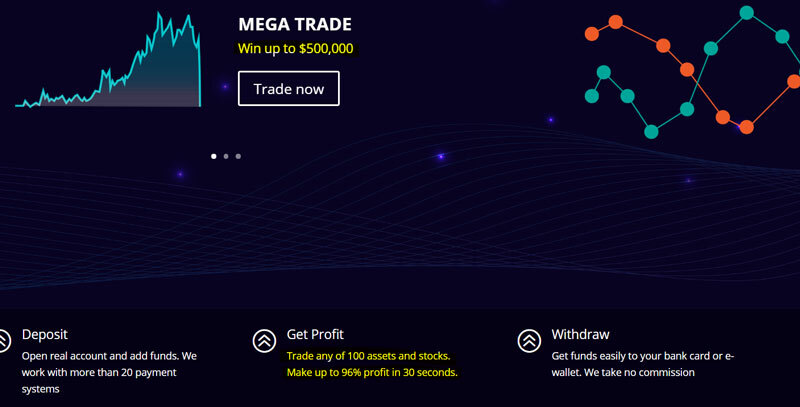 You will not make $100,000 on a mega-trade; you will not make a 96% profit in 30 seconds; and you will not win a $40,000 car by depositing $2,000. Save your money and STAY AWAY. 4) The broker offers abnormally high cash bonuses. When a broker offers an abnormally high cash bonus, is not regulated, and does not show offer details for the bonus, then you are likely dealing with a scam broker. For example, 1000Extra hints at a bonus of $1,000 with their vague promotional offer. If you click around trying to gather more information you are redirected to sign up for an account. 1000Extra is not regulated, has minimal information about the company, and has scam reports across the web. Conclusion: In most regulated regions around the world, promotional bonuses for opening a new account are not allowed. The two exceptions are the United States, which is for US citizens only, and Asia. 5) The broker offers automatic robot or signal trading. Many scam brokers offer automated trading done by a robot or algorithm claiming to make you money. These brokers claim their robots trade off signals to generate money for you. Often, these brokers focus on cryptocurrency or binary options. Below are snips of a proven scam broker, CryptoRobot365. 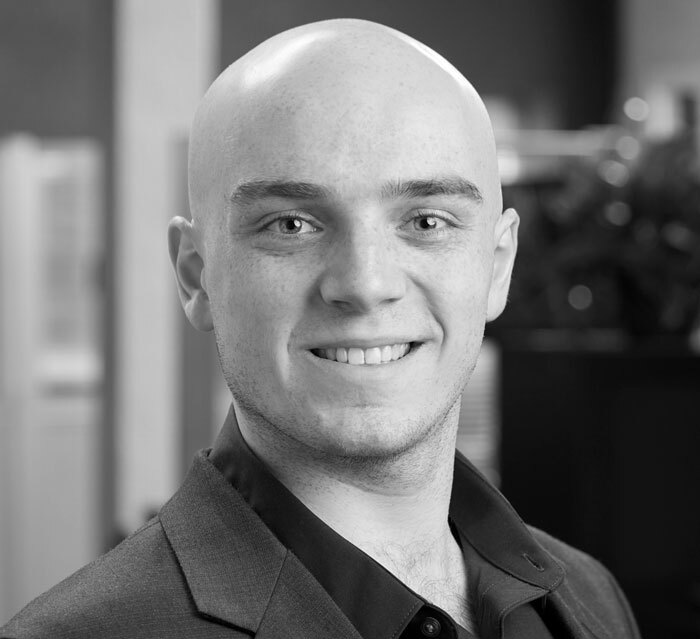 Crypto Robot 365 is a scam broker. Conclusion: No company has found a way to consistently generate huge profits through automated or signal trading, and if they did, they would never offer it to everyone for free. Use common sense: if it sounds too good to be true, STAY AWAY. 6) The broker is missing company information and has no legitimate reviews online. If there is no information about the company executive team, where the company is located, or what phone support it offers, it is most likely a scam. Scam brokers don’t want any names, locations, or contact information linked back to them when they inevitably get into trouble. If you can’t find honest reviews of the broker you are interested in, don’t sign up for an account. For example, look at this text from a review site that promotes scam brokers. The review text, which is promoting crypto robot 365, promises the exact same thing as the scam broker website. This “review” has no content depth and is not reliable. It is also important to check for disclosure documents, which provide important information about the company. For example, look at the disclosures page on Forex.com, which offers performance history for forex customers, audited financial statements, and disclosures. 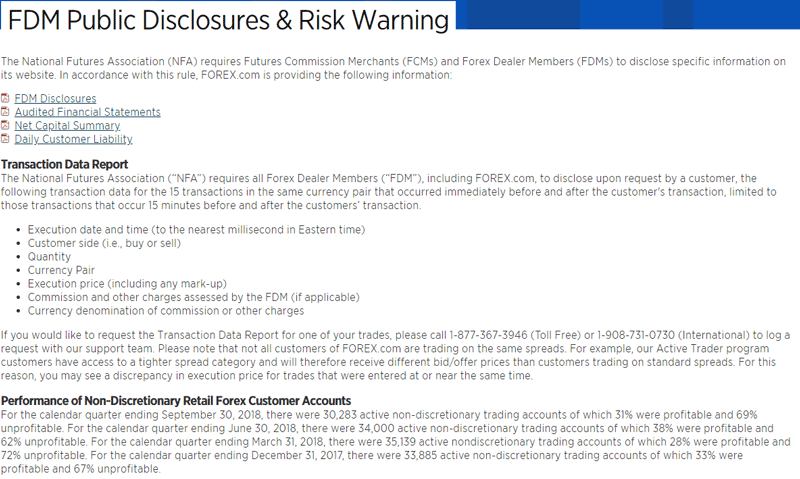 Disclosures from Forex.com, a trusted broker. Companies that have no disclosures are likely not regulated and should always be viewed with caution. Finally, take the time to read multiple reviews. Search for “BROKER NAME review” and then go from there. Beyond ForexBrokers.com, sites such as Forex Peace Army are known for surfacing scam brokers that may be new and don’t have a lot of information available. Conclusion: If you can’t find honest information and reviews about the company, including its executive team, location/s of business, corporate history, or any financial information, STAY AWAY. 7) The broker has awards on its page that can’t be verified. Lots of scam brokers claim to have great awards. Most of the time the award will say, “Best broker 2015,” and the news outlet won’t be viewable, or it is an unreliable outlet. Scam brokers will purposely post fake awards from a few years ago because they’re harder to verify than a 2019 award. At other times, the scam broker will have awards with media outlets that are reliable, but the awards are fake. This snip is from 12 Trader, which features fake awards form Bloomberg and The New York Times. If these awards were real, you would be able to click on a link and view them or find them via Google search. The New York Times doesn’t give out a “best signals provider” award. Conclusion: Double check any claimed awards to verify their legitimacy. 8) The broker promotes a big sponsorship of a football club or professional athlete. One final scam trick to avoid is assuming a broker is trustworthy because it sponsors a football club or professional athlete. Just because a firm is a major sponsor PAYING for their name to be on a jersey doesn’t mean they should be trusted. 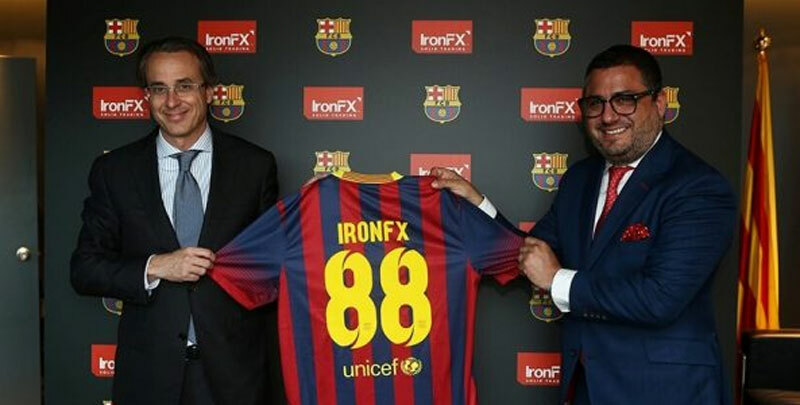 IronFX, a proven scam broker, used to sponsor FC Barcelona, paying the club €3 million a season. Always go through all the steps listed above before opening an account. IronFX, a scam broker, soccer sponsorship. Conclusion: Never automatically trust a forex broker just because it sponsors a football club or professional athlete.